"I'm Almetris Marsh Duren, and I'd like to tell you a little bit about the black experience at the University of Texas." The year was 1956, the first year that The University Of Texas At Austin admitted black undergraduates, and the only dormitory available was located many blocks from the UT campus. The UT administration had decided to appease the demands of both trustees and concerned parents, by not conflating the pursuit of education with the social interactions of African American and white students. This meant finding housing accommodations beyond the 40 acres. Many of UT's first black students were also forced to find alternatives for essentials, including clothing, food and services, such as barbershops and beauty parlors. Mama Duren, as she was soon called by almost everyone who met her, answered the call as housemother to these students. She recognized immediately that her girls were physically isolated from the college experience, but more significantly, UT’s dismal accommodations could psychologically damage the students and their academic potential. For almost 25 years Almetris Duren was the primary housemother-counselor-supporter of virtually all African American students attending The University of Texas At Austin. She had a broad network of resources to dispense and she knew how to galvanize students and get things done in the university community. 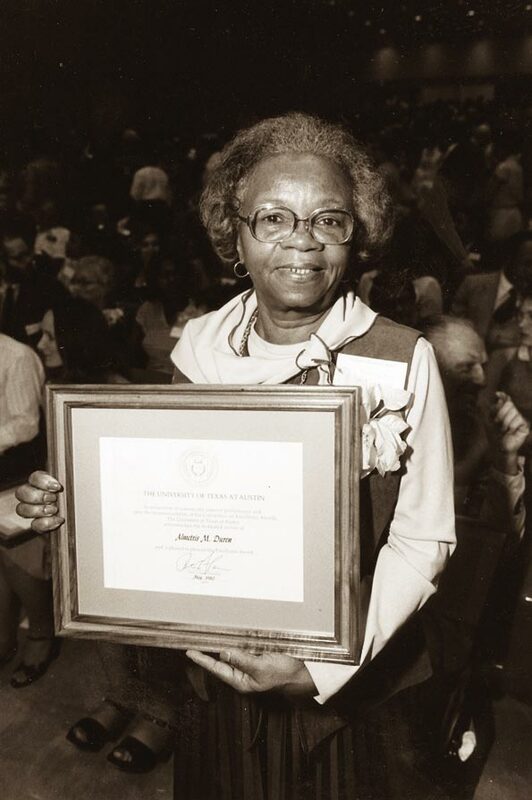 Mama Duren’s ability to mediate UT administration, faculty, community politics and the needs of the African American students was an invaluable contribution the integration process at UT and around the city. "Overcoming: A History Of Black Integration At The University Of Texas At Austin"
Almetris Marsh Duren wrote a book called "Overcoming: A History Of Black Integration At The University Of Texas At Austin" that aimed to teach future generations to avoid the missteps of the past and is required reading for a class at the University of Texas. The book was the only history of integration at the Univeristy of Texas at Austin.